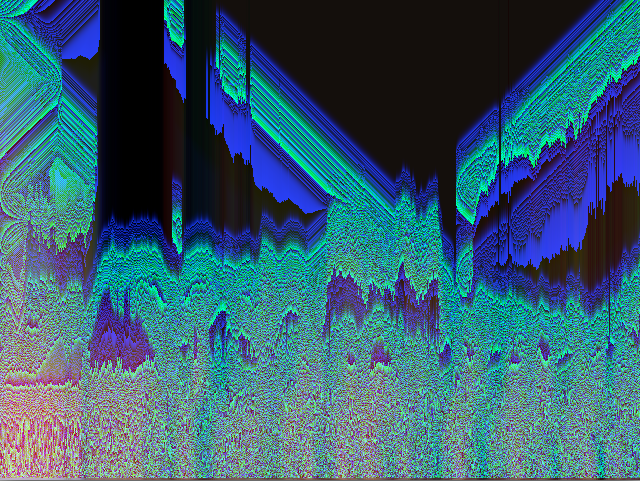 Oscillations (click for fullscreen) is something I wrote in processing.js. It's an experiment in iterated linear interpolations of trigonometric functions. The left/right keys control the y phase. This is a little thing I've been working on for James George's class. It's a sketch that evolves a 2D image sequence from a single video line. Right now it uses some form of averaging, but soon I'll write a 1D cellular automaton to make it more interesting. Here are some results. I released the code I used to projection-map my Inverse Kaleidoscope (documentation coming soon). P5 Texture Map is a projection mapping addon I wrote for the project. It only uses Java and Processing (no external OpenGL libraries). Version 0.1 is now available on GitHub. Kinect, Processing, Projector, bridal veil. This is a project I've been working on with Ohad Ron: an audiovisual feedback system to gestures. It uses spatial segmentation with readings from Kinect and some Computer Vision, and outputs to MIDI. Copyright © 2019 Omer Shapira.